Don’t get me wrong, I am not critical of this Ferrari F-40 LM transaxle casting, its just that it looks so old, similar to the 50′s and 60′s castings. In comparison, the casting to a Porsche 911 Transaxle looks so much more refined where this is a crude old lost wax/sand cast type housing for a 500hp racing car. I like it, is has character and obviously gets the job done but a little old school none-the-less! 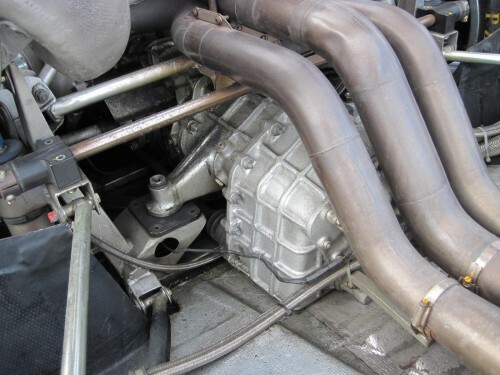 Here’s another article from when we had the Ferrari 512BB Transaxle out.